Kicking the week off with a brand new moon and big tides meant lots of water movement and, in turn, ice cold water. This cleaned the atoll out and prepared us for the slower tides later in the week. 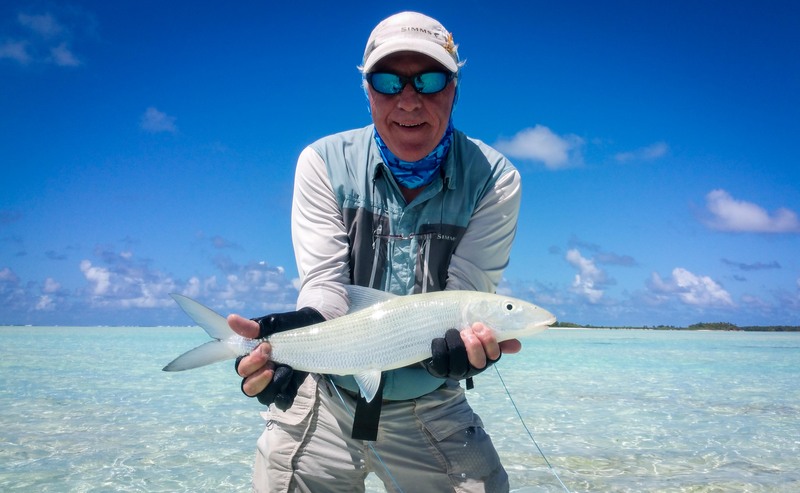 With many guests being new to our fishery or saltwater fly fishing in general, Bonefish were on the menu. Everyone wanted to get going and get their first Bonefish under the belt. Some of the guys had such fun fishing for them that it became an obsession for their week. The guide team often delights in seeing people enjoy a sport they have loved their whole life, however spending time with kids who have just started their passion is equally rewarding. David Brown is one of these kids and is remarkably talented and passionate. 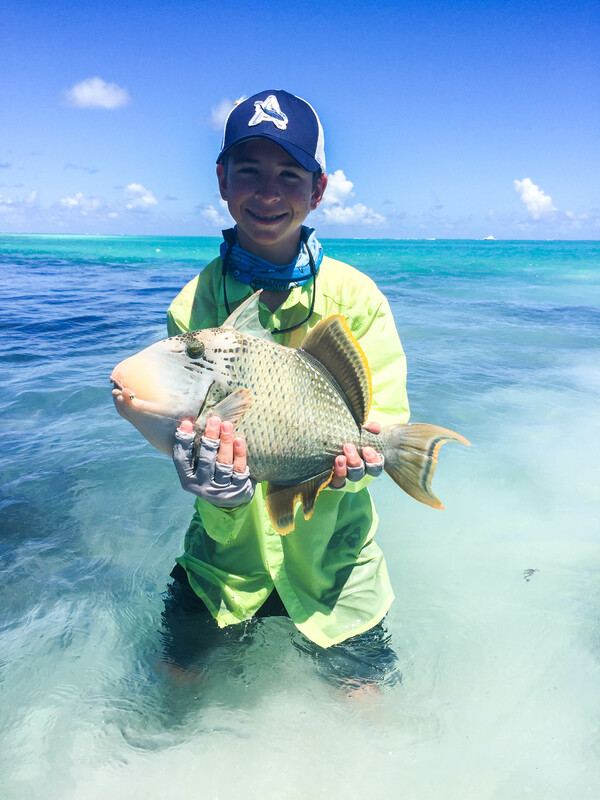 He landed a ridiculous amount of Bonefish, the total well over 100, however his real focus was to close his triggerfish account which he finally achieved with a big Yellow-margin. As the tides started slowing down the trigger fishing got better and better. 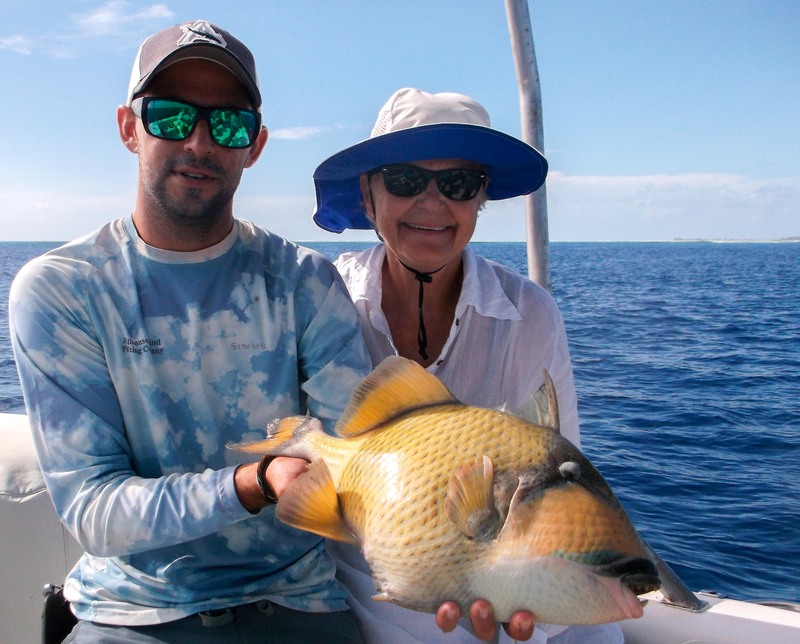 John Berzins joined the triggerfish club with a great Yellow-margin. Peter James landed his Yellow-margin as well. 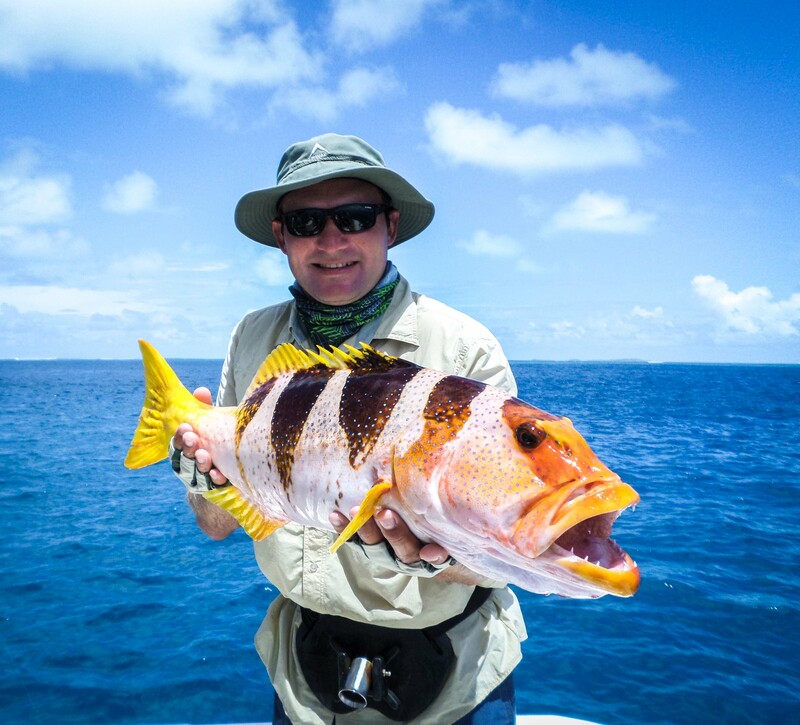 Steven Hopkins, however, was our triggerfish champion achieving a ‘Trigger Slam’. 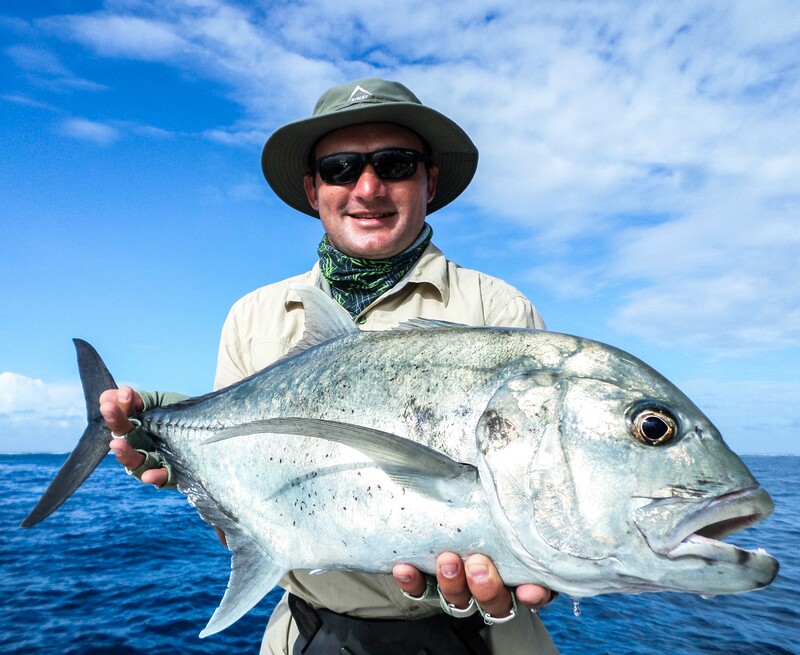 Alfredo Carballuse achieved the incredible and struck gold by managing to fool one of the wisest characters on the flats and collect his prestigious golden badge after landing a gorgeous 7lb Indo-Pacific Permit with style. 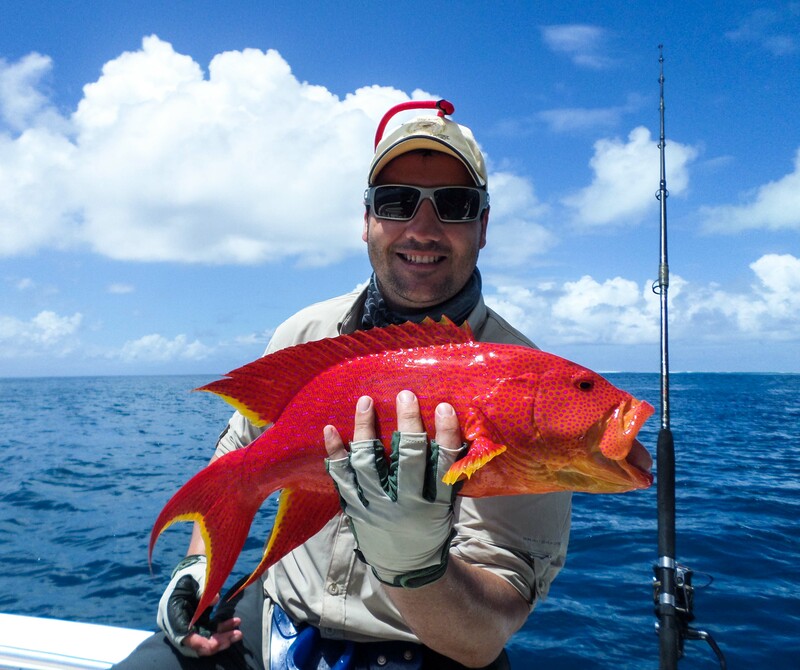 David Balderson had great luck when fishing the Alphonse lagoon once all the guests had set sail to St. Francois for the day. 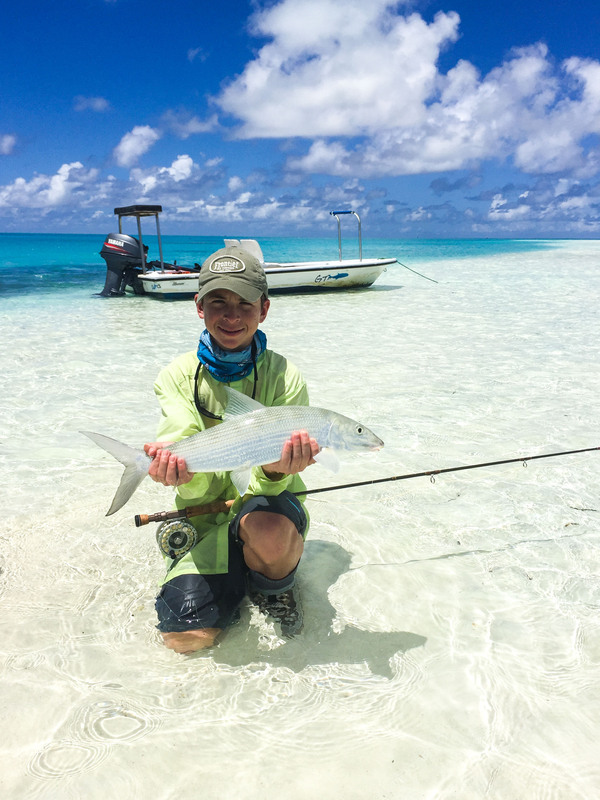 The Milkfish made an appearance in the lagoon and David got the job done by landing his first ever Milkfish on fly. 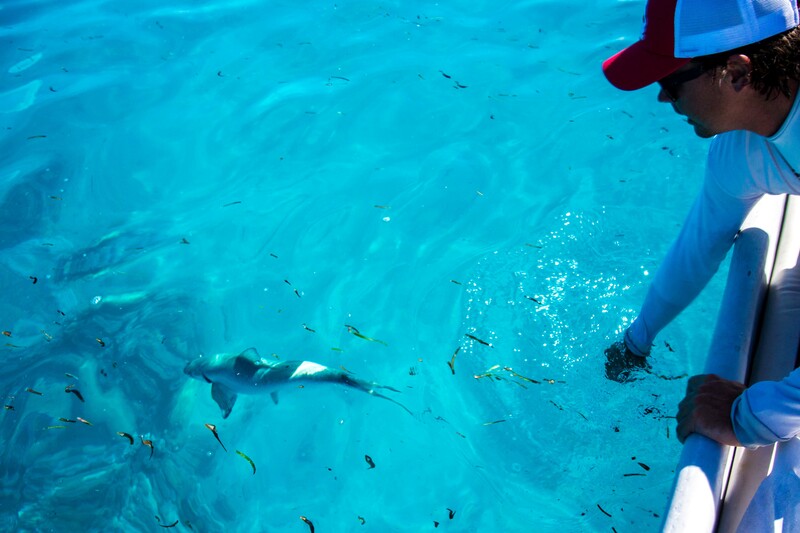 Bill Hegberg was now in his second week and after seeing them on the surface on a few occasions, also had Milkfish on his mind. He put aside some time to search and target them on the flats but despite a good number of fish being pricked none were landed. 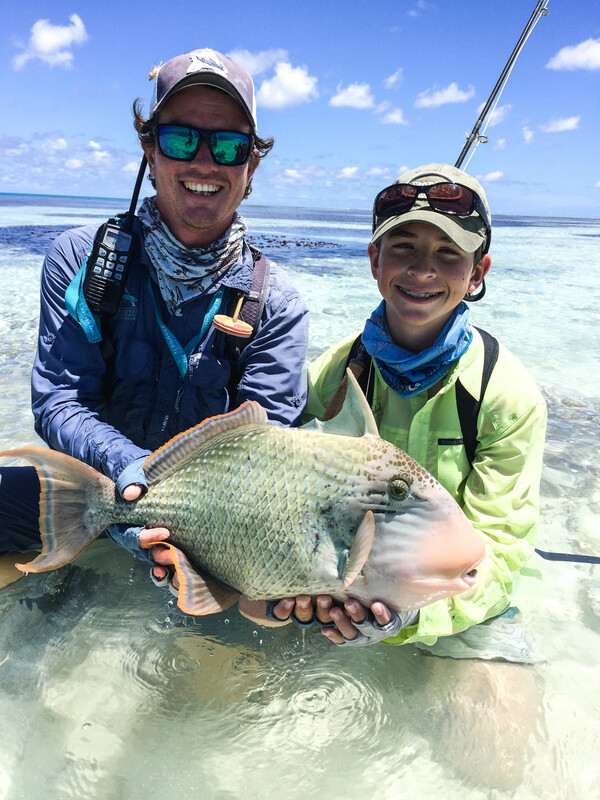 This ignited Bill’s flame and, on the last day of the week, he went on to land an impressive 107cm GT, a big Yellow-margin triggerfish and a handful of Bonefish. A ‘Flats Slam’ is impressive, but Bill was not done yet; he hooked a gorgeous Permit which evaded his guides net at the hand. 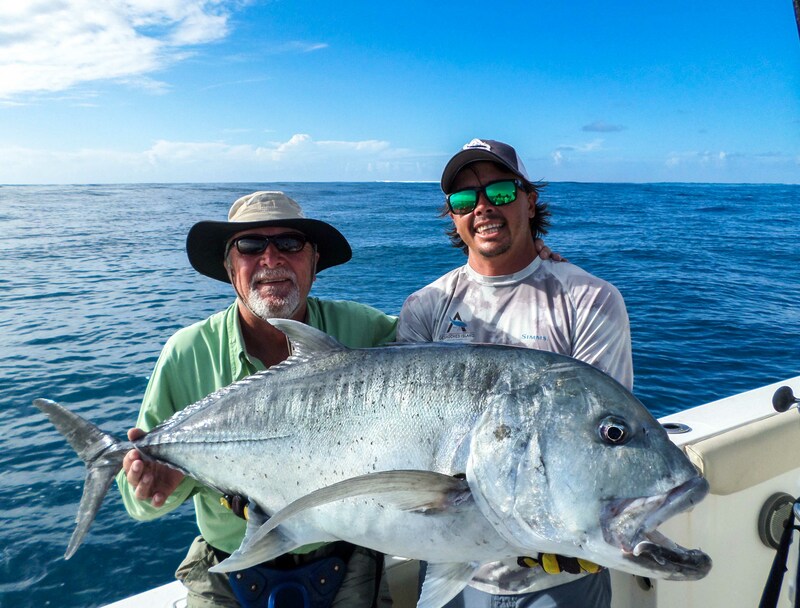 Further motivated he went on to finally go tight with another Milkfish on the flats but after an incredible shallow-to-deep duel the fish won the battle and parted the leader. This was incredibly close to the esteemed ‘Golden Grand Slam’… maybe next time Bill! Fly fishing is often very family orientated and Devan had some of his family out here this week for an experience of a lifetime. 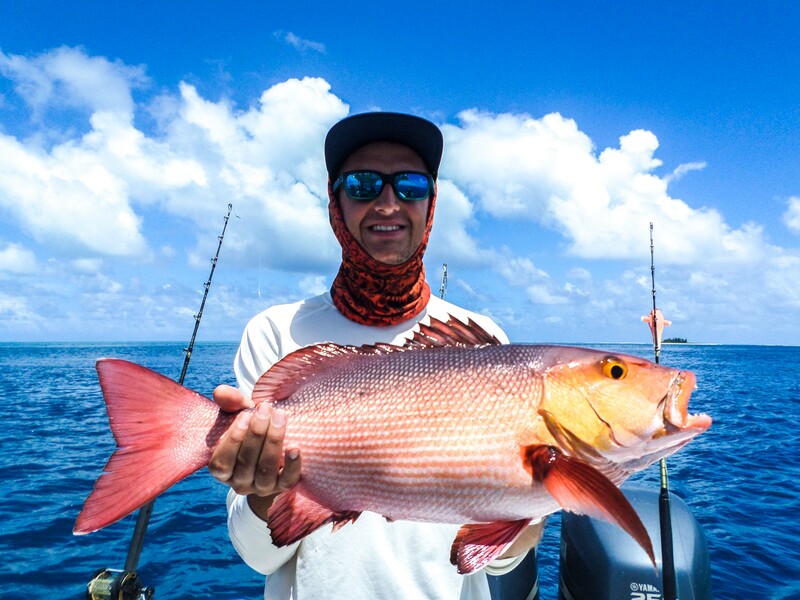 Pieter Stofbergh got right into the swing of things spending some time offshore and on the flats. 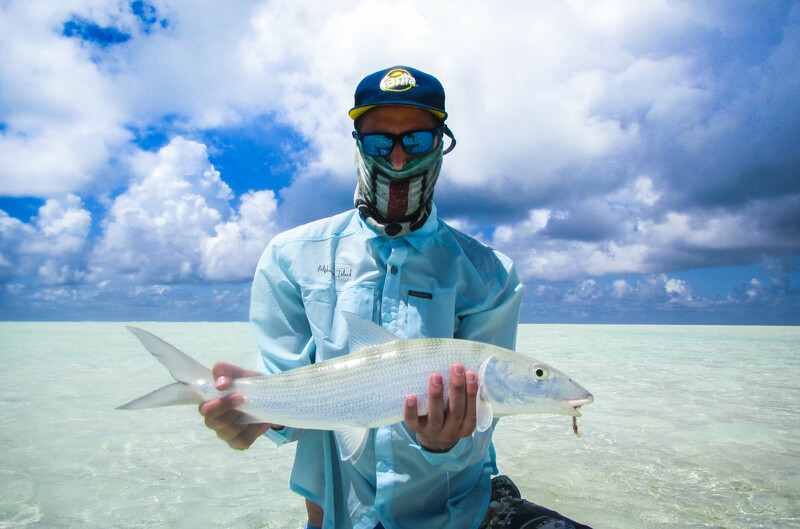 On the flats he managed to land an 80cm GT on his 9wt with a small ‘Gotcha’ Bonefish fly. This was not your typical GT tussle though; they ended up almost a kilometre away before they managed to put their hands on its tail. 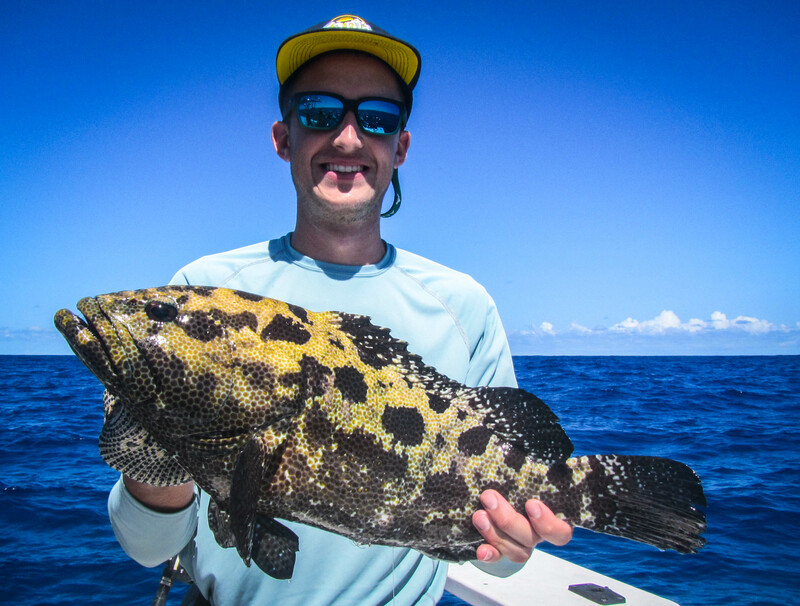 Offshore, Pieter got stuck into an impressively large Saddleback Grouper – a beautiful and formidable foe. 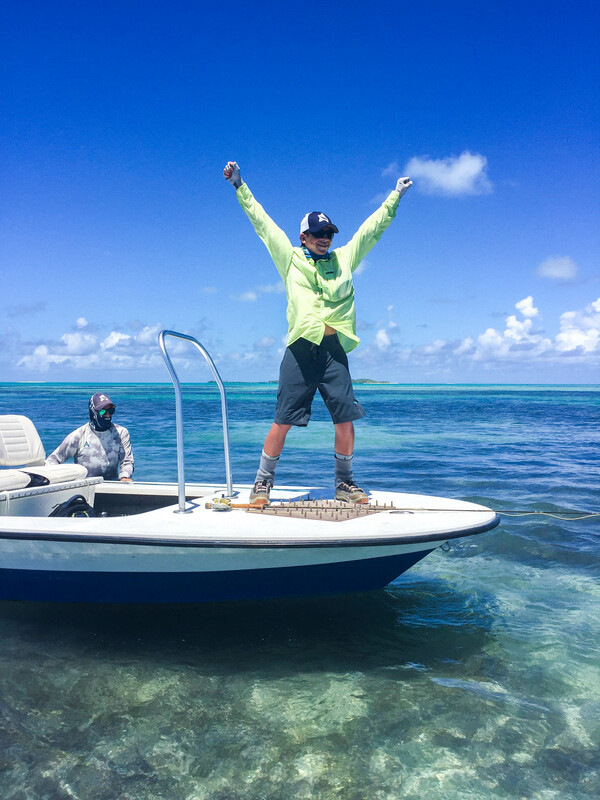 Neil Van Der Merwe, however, had a more interesting tale, after spending a day fishing for Bonefish with his two sons, the family went offshore on the Bluewater boat and Neil managed to hook a respectably-sized Jobfish. On the way up the Jobfish’s luck changed and so did Neil’s; a big GT came out of the depths and took the Jobfish back down leaving Neil with an ultimate upgrade. After a good battle they managed to tail the fish measuring in at 112cm from nose to fork. Alexey spent most of the week offshore on Bluewater with the occasional afternoon inside the atoll. 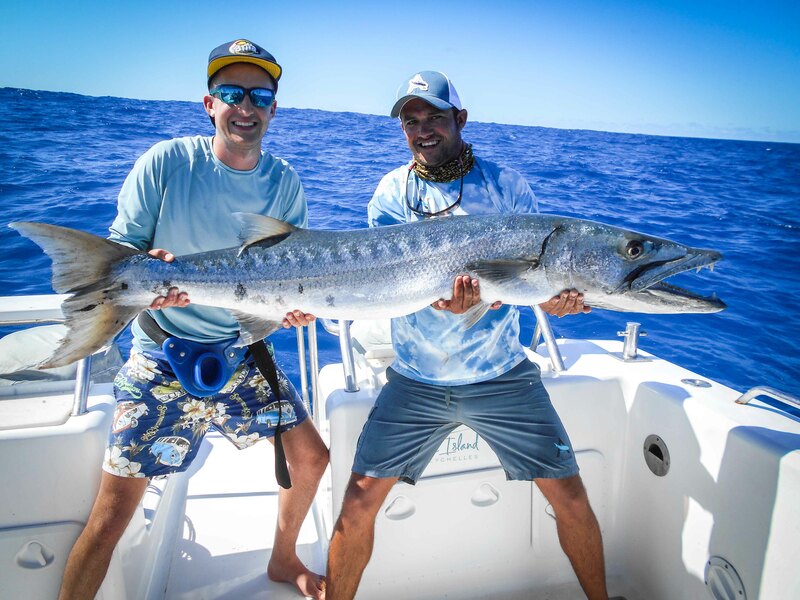 He managed an array of incredible fish, landed his first Sailfish on fly and then duplicated this later in the week. 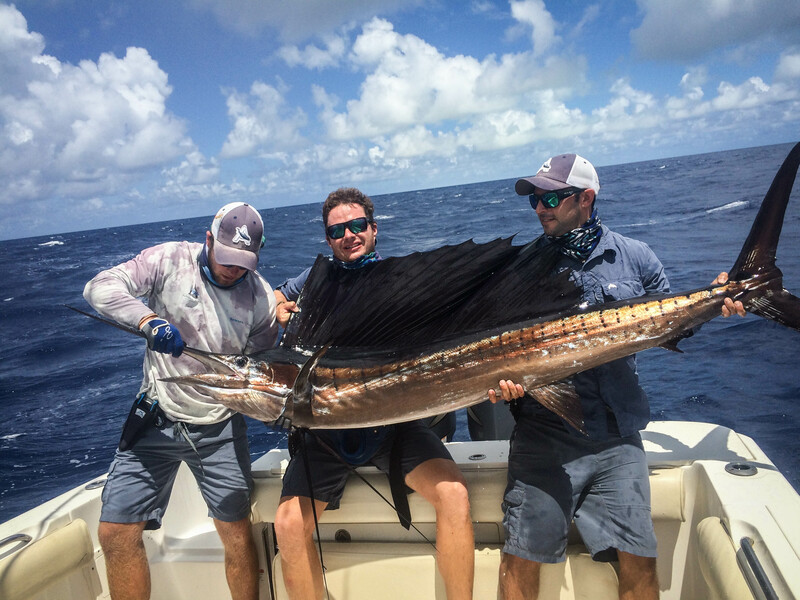 Not only did he tick his Sailfish-on-fly box, he also closed the Bills and Bones account and joined our 20+ Bonefish club. 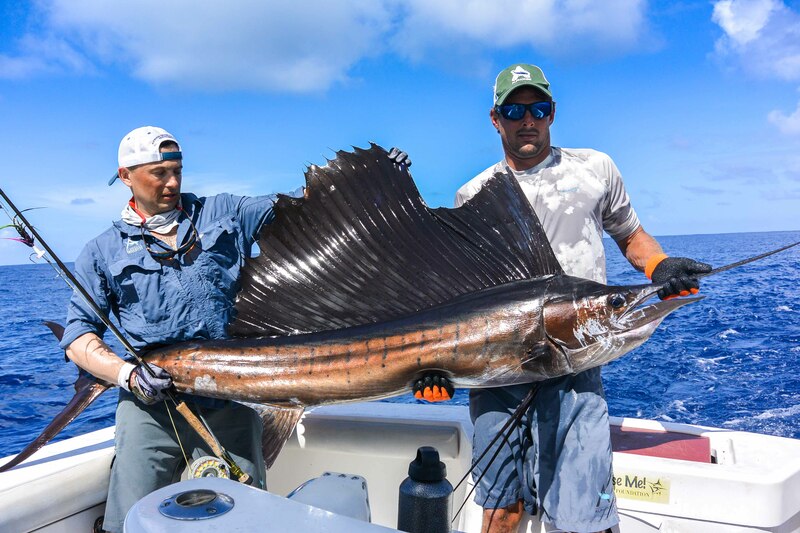 Peter Ottesen also spent some time outside and after having an incredible Bluewater session raising over 20 Sailfish, a few Wahoo and a Black Marlin, Peter managed to hook up and jump his very own Sailfish on fly. On a whole, this was an incredible week. It was an absolute pleasure having all our guests out here, it is always great fun meeting family and friends and to hear how their experiences are amplified because of whom those events were experienced with. Tight lines, the Alphonse team.